As you assemble your holiday shopping list, remember the truly seasoned gifter never forgets to pick up a couple of those last-minute utility gifts as well. You know, the broad-appeal, one-size-fits-all presents that’ll work in a pinch for almost anybody who stumbles under your roof for the holiday. 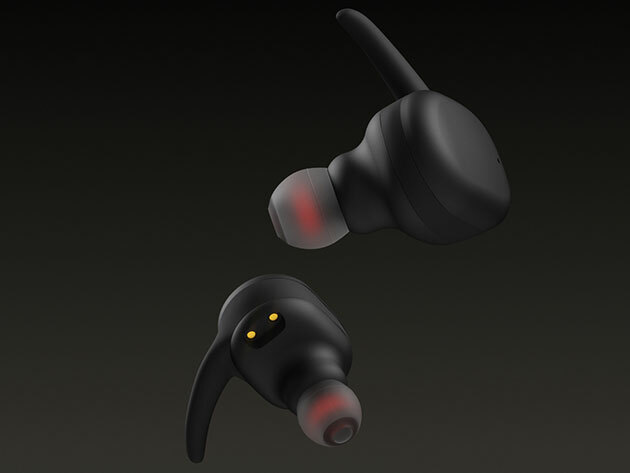 And who doesn’t love wireless earbuds? Everybody listens to something, right? That’s what makes the Cresuer Touchwave True Wireless Bluetooth Earbuds the perfect pick, especially now that they’re on sale with pre-Black Friday pricing. You can take another $5 off these already heavily discounted earbuds, knocking the price down to just $34.99, 65 percent off the retail price. Wireless earbuds are really the only way to listen to anything out in the wild these days. The Touchwave earbuds bring the essentials, including Bluetooth 4.1 connectivity to sync with any iOS or Android device; and CVC noise cancellation to squash all the outside sound that can infect your audio. Crafted from carbon nanotube diaphragms and sporting a noticeably clean and easy-to-use design, the Touchwaves offer clear, crisp sound performance whether you’re listening to music, a podcast or even making or receiving calls. The minimalist, lightweight design makes these buds ideal for any real-world situation, from workout motivators to commute boredom killers to communication staples. You can listen up to 3 hours on a single charge or keep rolling for up to 12 hours with the accompanying wireless charging case, which you can easily take with you on the go. The Touchwaves would normally set you back $100, but with this pre-Black Friday price drop, you can get them for a limited time for only $34.99, saving 65% off the usual retail price.